Blue Mountain Hospital District is a non-profit organization directed by a local Board of Directors. The District consists of a 25-bed hospital located in John Day, and a 40-bed care center in Prairie City. John Day currently has a general surgeon as well as several family practice providers, including physicians and nurse practitioners. We participate in the Oregon Health Sciences University Family Practice Residency program, which rotates residents and interns through our community on a regular basis. Blue Mountain Hospital is well staffed, with most nurses ACLS and trauma-certified. We have three monitored ICU/CCU beds, two modern birthing suites, and two surgery suites that provide both inpatient and outpatient same-day surgeries. We are a level IV trauma hospital in the Oregon State Trauma System with 24-hour emergency department coverage, and medical evacuation to tertiary care centers by Air Link of Oregon and Life Flight. Blue Mountain Hospital has a helipad on site to offer rapid transport under critical circumstances. In addition, the hospital has an ambulance service that is staffed by volunteer EMTs and Paramedics that are on staff. The Hospital houses a Surgery Clinic and a Rural Health family practice clinic. 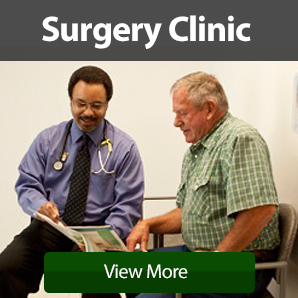 The Surgery Clinic is staffed by a Board-Certified General Surgeon. 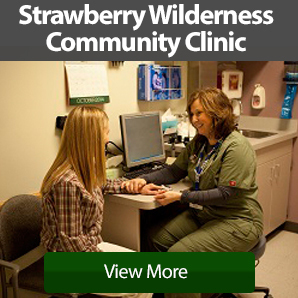 The family practice clinic, Strawberry Wilderness Community Clinic (SWCC), has several providers including family physicians and nurse practitioners. We have two outreach primary care clinics in neighboring communities for those who have difficulty traveling the distance to the Hospital. The Hospital also offers monthly specialty clinics with physicians specializing in urology, opthalmology, cardiology and podiatry. Blue Mountain Care Center is an intermediate care facility that has a caring and skilled staff to provide care to the elderly and others who are unable to live independently. In addition to full-time care, the care center is licensed to provide adult day care when families need regular or occasional daytime relief from caring for their elderly. Our care center boasts a reputation throughout eastern Oregon of excellent care and high standards.